Vietnam Airlines (Vietnam Airlines) plans to open a direct route from Hanoi to Sydney, Australia in March 4/2017. 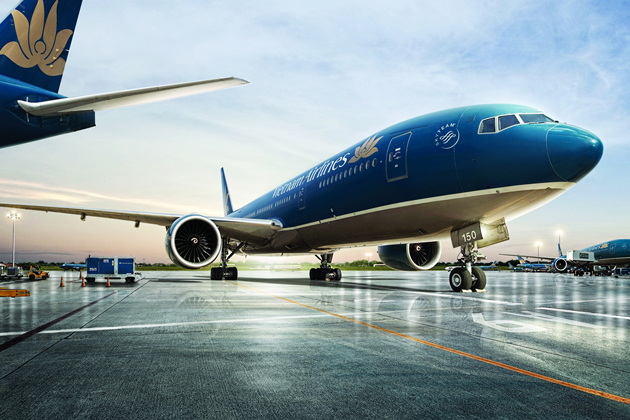 From 5/12, Vietnam Airlines will put into operation the new Boeing 787-9 Dreamliner aircraft to Sydney and Melbourne. Scheduled for March 4/2017, the airline will open direct flights from Hanoi to Sydney. The representative of Vietnam Airlines representative office in Sydney said Vietnam Airlines rates Australia as one of the key markets for the average frequency of transport over 300,000 passengers/ year. On 20/10 (local time), at Sydney International Airport, Vietnam Airlines representative office in Sydney held a customer appreciation on the occasion of the 20th anniversary of the company’s launch flight to Australia. 20 years ago, in 1996, the first flight departing from Ho Chi Minh City Vietnam Airlines landed at Sydney airport; strengthen the connection between Vietnam and Australia and the countries in the region. At the beginning, Vietnam Airlines only operates 3 flights/ week, combining a visit to both Sydney and Melbourne, then rises to 5 flights/ week and opens two separate routes to these cities. Since 2011, Vietnam Airlines has daily flights, which create favorable conditions for trade, cultural exchange, and meet the huge demand for travel.